Scientific Method Success Social Programs | Sarder TV – Learning Ideas. You are at:Home»All Categories»Management & Strategy»Why is it important to use the scientific method in fostering innovation to maximize success in social programs? 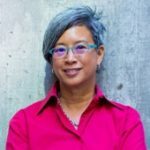 Ann Mei Chang discusses how her concept of the Lean Impact that she writes about in her book, in the area of social good is based on what she learned in the tech world. She talks about how it is harder to measure the impact of programs in the social sector but it is essential to be as rigorous in applying the tenets of the scientific method in a non-profit as in any other type of organization. Previous VideoWhat are the barriers to innovation with social programs? Next Video How were you inspired by the book The Lean Startup?